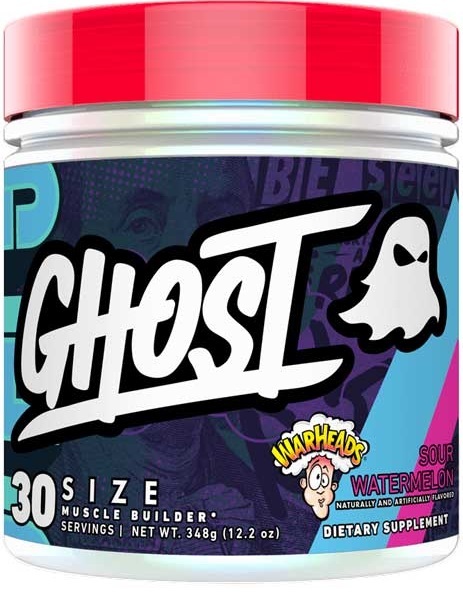 Other Products by Ghost Lifestyle. Search other Pre-Workouts products. 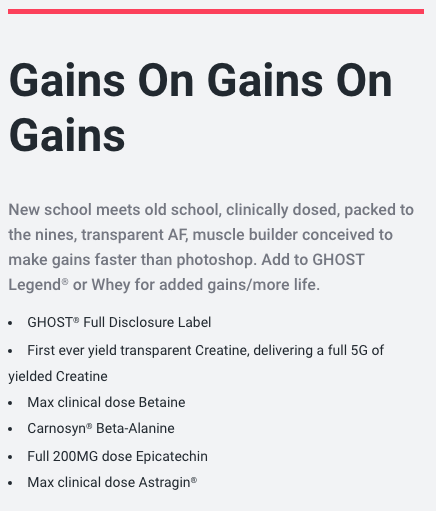 Ghost Size is a novel and well-thought-out formulation containing rare ingredients that support the bodies natural physiological processes and an individuals ability to perform and recover from physical activity—which essentially means, it’s awesome. It has been known for many decades that creatine can increase fat-free mass, boost strength and be helpful for recovery from exercise, particularly when that exercise is anaerobic, I.e., explosive exercises like sprinting and weight-lifting (1). Creatine is naturally found in meat, though is also found in abundance in fish where it us used, as in human muscle, to deliver anaerobic (in the absence of oxygen) energy via the separation of phosphorus from the creatine molecule. This natural food source of creatine is in the phosphocreatine form. Due to the fact that our muscle phosphocreatine stores are depleted during certain types of exercise, providing them through supplementation allows recovery of this important energy system to speed up, thus bypassing the bodies own biochemical processes. This means that strength and power may be restored faster for the next session, and that during that session you can be sure that your muscle phosphocreatine levels are maximised and ready for action. 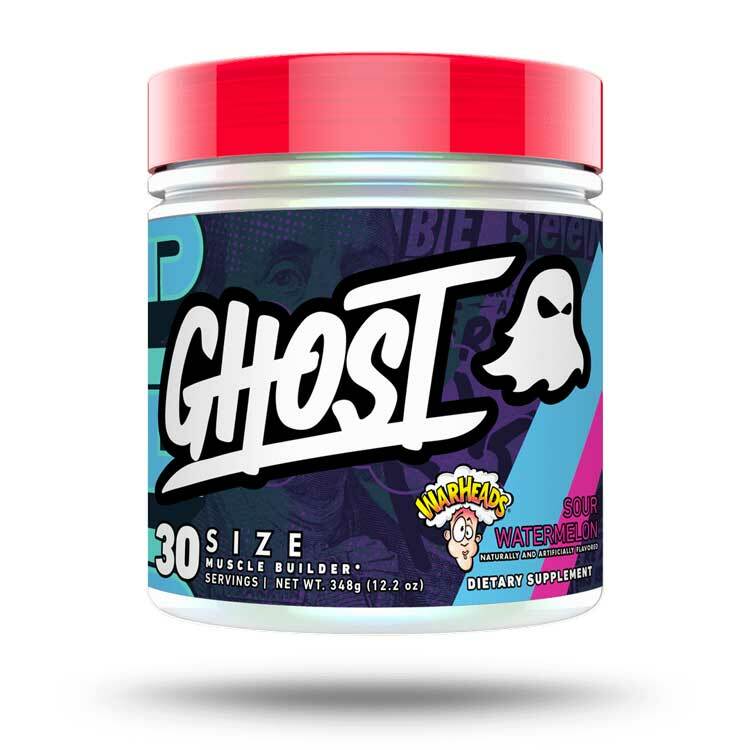 Ghost Size, in all its wisdom, contains a clinical dose of beta-alanine, at 2 grams per serve. Beta-Alanine is an important rate-limiting precursor to a dipeptide called Carnosine, which is specific to skeletal muscle tissue, and has been shown to increase carnosine levels by 20-80% (2). Carnosine plays a vital role as a buffer to lactic acids, and also as an antioxidant. This indicates that Beta-Alanine supplementation may enhance aerobic exercise by supporting the bodies ability to handle lactic acids and protecting muscle tissue from free-radical damage. In addition to this, Betaine ( AKA Trimethylglycine) is included at a whopping 2.5 grams per serve—a natural compound found in beetroot and spinach. Betaine has been demonstrated to increase athletic performance—which is quite a statement—perhaps by increasing nitrate concentrations (3). If Ghost Size doesn’t already have your utmost attention, it also contains Epicatechin, a natural flavonol found in cocoa (yes, chocolate too!) and green tea. Though it might be a better idea to grab a cup of green tea before a family-sized block of full cream milk chocolate, or, of course, there are many dark chocolate varieties available. Epicatechin has been shown to support muscle growth and strength, regulate blood sugar levels and support nitric oxide production, making it a versatile phytochemical for inclusion in this formula. Astragalus and Panax notoginseng provide potent adaptogenic effects, helping physiological responses to exercise, thus making performance and recovery that much more heightened.